Dr. King prepares to deliver his DREAM speech from the steps of the Lincoln Memorial in Washington DC. As we conclude this MLK Day Edition of Midday, Tom introduces us to a young student from Commodore John Rogers Middle School in Baltimore. Charlie Grace Martin is 11 years old. She is in the fifth grade, and she is the winner of the 2nd annual Dream Big Essay Contest. The contest is sponsored by the Modell Lyric. Baltimore City School Students from grades 5-12 are challenged to write a 300 word essay, inspired by Dr. King’s famous “I Have a Dream” speech that he delivered on the steps of the Lincoln Memorial on August 28, 1963. Students were asked to write about what their dreams were for themselves, their families and their communities. The awards ceremony is tonight at 6:00pm at the Modell Lyric in Baltimore. Also today: The Reginald F. Lewis Museum of MD African American History and Culture had a number of events scheduled to mark Monday's Martin Luther King Day observance. Those events included a Living History Talk with Kevin Shird and Nelson Malden, the co-authors of The Colored Waiting Room. Nelson Malden was Dr. King’s barber for years in Montgomery, Alabama. 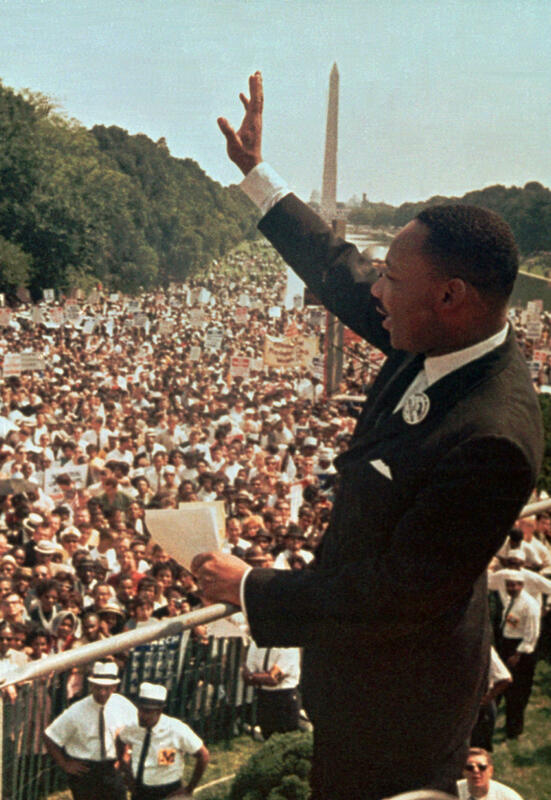 At the close of this segment, we hear an excerpt from Dr. King's historic 1963 "Dream" speech. You can listen to the entire address at this NPR Website.